We are a nation under siege. Siege as “a prolonged period of misfortune” sums up the state of our Union today. We are indeed in a prolonged period of mass misfortune, which has only become worse since January 20, 2017, as the government chips away at health care access and women’s rights while sitting quietly on gun control. Refusing to begin a discussion on gun control is unfortunate on so many levels. You may think me naïve, but when the Guns and Guitars store front flashed onto my screen Monday following the Las Vegas massacre, I thought how odd that a store would sell guns and guitars. My confusion was mixed with the dread, horror and all but complete sense of hopelessness I felt in the face of the uncontrolled gun insanity that has crossed our land. Waking on October 2, 2017 to the news of the latest and greatest mass shooting in modern USA history did not feel unexpected. This news hit me in the same way as the news following the Columbine High School gun violence in 1999, Sandy Hook Elementary School killings in 2012, and the Pulse Nightclub slayings in 2016. Thoughts of sadness and rage and empathy all mixing together this week, just as they had following each of the countless other gun related murders in the US. The national heartache over the past week feels like déjà vu. Similar heartache to that which I felt after the shooting in 2007 at my Alma mater, Virginia Tech, even if the Va Tech violence felt a little more “personal”. All these gun tragedies were in one sense the same, while in so many other ways different; different for each of the victims and their families and friends. Similar in that they all may have been prevented if we could bring about common sense gun control. I feel amazingly lucky to have been born in the USA and that I hold a United States of America passport. The places it has allowed me to travel and rights it has afforded me are a privilege. However, I am frankly shell shocked that so many of my fellow citizens cannot grasp the fact that we need change. This week I have been reading and re-reading the Amendments. They are mostly good, helpful and powerful for the people: this is especially true if considered in the context of what our country was like when the Bill of Rights came about. Of all the Amendments, the one that seems to have us stuck in a time warp is Amendment 2 - The Right to Bear Arms. Ratified in December 1791 this Amendment provides U.S. citizens the right to bear arms. 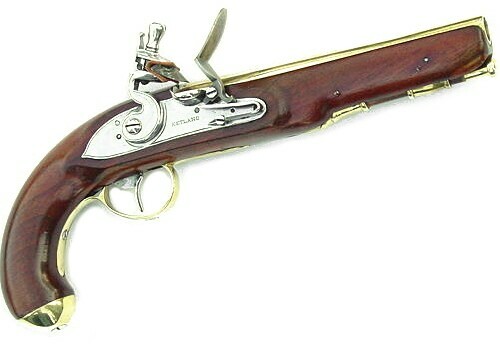 The Amendment states, “A well-regulated Militia, being necessary to the security of a free state, the right of the people to keep and bear Arms, shall not be infringed.” Arms in 1791 might have looked something like this gun. I am all for citizens of the US having rights and freedom. However, I question what we mean by freedom and rights. Do I have freedom from fear of being shot if I go into a school, stop next to someone at a traffic light, or enjoy myself at an outdoor concert? When does someone else's right impinge on my freedom? This week seeing Guns and Guitars reminded me of another commercial stop along the American road – Bullets and Burgers. Famous for the incident in 2014 when a 9 year old girl accidentally killed her “instructor” at this restaurant/shooting range. This one gun mistake by a 9 year old ruined the instructor’s life and his family, as well as the girl’s life. I am happy for and appreciate my “inalienable rights” as a US citizen. However, I have to believe that even the government officials who ratified the second Amendment in 1791 would see the world through different glasses—definitely through a different scope on their gun—today, and they too would realize it is time for change. This “gun thing” leaves me thinking of something Charles Darwin said a long time ago, “It is not the strongest of the species that survives, nor the most intelligent that survives. It is the one that is most adaptable to change.” America - it is time for change. Gun control = public health = One Health.